Journalists play an influential role in bridging the gap between research evidence and health policymaking. 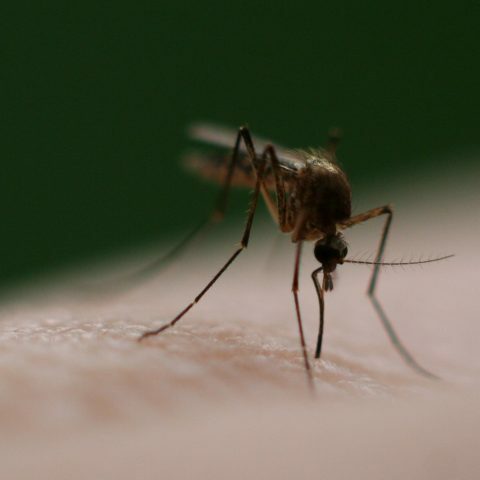 However, health reporters often find it difficult to verify the credibility of information sources and struggle for effective search strategies to identify and access relevant knowledge resources on public health. 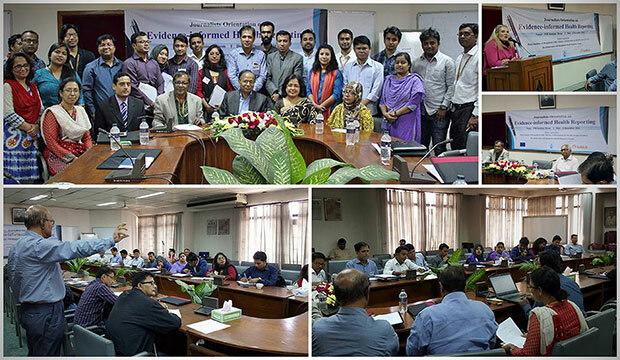 In order to provide journalists with an opportunity to hone their skills on mainstreaming evidence-informed health reporting, icddr,b’s European Union funded SHARE (Strengthening Health, Applying research Evidence ) project recently teamed up with the Press Institute of Bangladesh (PIB) to organise an orientation programme for 25 national reporters from print, electronic and online media at PIB seminar room on 6 December 2016. “Media landscape offers multiple influences in health sector. A well-articulated press release can hype up the research findings appropriately. Any impartial and objective media report can enhance knowledge translation towards health promotion and policy advocacy,” she said. The orientation training started with the session on ‘Evidence Based Health Policy Making’ facilitated by Dr Iqbal Anwar, scientist and project director at icddr,b. He pointed out the existing gap between field level health programmes and centralised health policymaking. He explained why research findings should be easily accessible for bridging the ‘know-do’ gap. Best practices and health evidence also deserve wide dissemination where mass media can play a prominent role. Citing published health reports, professional trainers gave the journalists a number of story ideas worth pitching, ranging from universal health coverage (UHC) to community engagement in the health sector. This orientation helped the participants learn how good reporting is possible from the ever-increasing stream of health information. “I found the orientation to be invigorating. It has necessarily included important lesson focusing on how to conduct balanced investigation before reporting and use health evidences in making credible health report,” a journalist participant said. A trainer from icddr,b also demonstrated how to find scientific literature from PubMed, which comprises more than 26 million citations for biomedical literature from life science journals, public health journals and online books. In a feedback session the participant journalists expressed a desire for this orientation and knowledge to continue. Pressure and awareness created by journalists and the joint initiatives of health research organisations and media agencies can effectively push health issues to the forefront of public awareness, strengthening advocacy and policymaking to increase impact and effect change. The inauguration session of the orientation was chaired by Mr Md. Shah Alamgir, Director General of PIB who appreciated icddr,b collaboration in health journalism. Dr Shahed Hossain, icddr,b scientist, Mr Md. Al Mamun, manager at icddr,b library, Dr Prodip Kumar Pandey, Chairman of Mass Communication and Journalism Department, Rajshahi University, and Mr Shishir Moral, eminent health correspondent of Daily Prothom Alo conducted different sessions as resource persons. Dr Mushtuq Husain, ex-principal scientific officer of Institute of Epidemiology, Disease Control and Research (IEDCR) and Dr Ashek Reza, principal scientific officer, IEDCR gave their remarks as special guests.